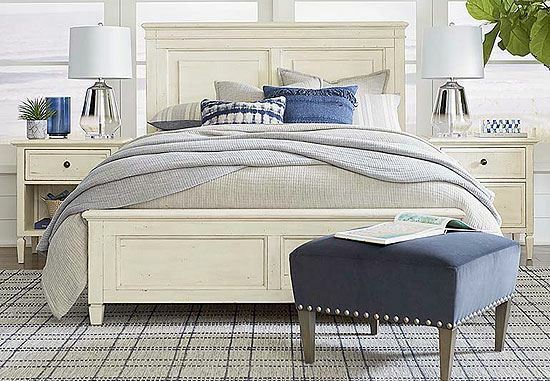 The Shoreline Collection that includes a panel bed (available with storage), 6-drawer dresser, 5-drawer tall chest, nightstand, bedside table, and mirror. 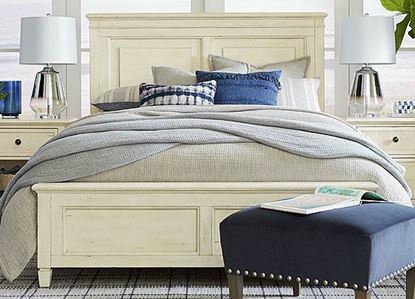 This suite is easily adaptable to many spaces. 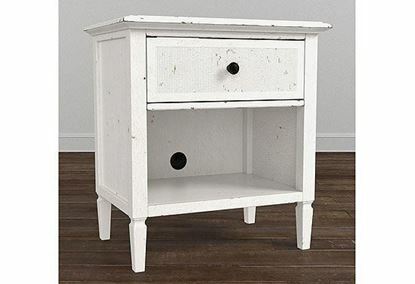 A Sea Salt distressed white finish and transitional elements give these pieces a comfy, casual feel—perfect for a beach house or if you want to bring some relaxed coastal style home to you. 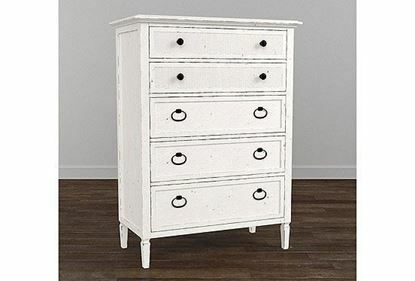 Ribbed top drawers on case pieces bring an element of texture. 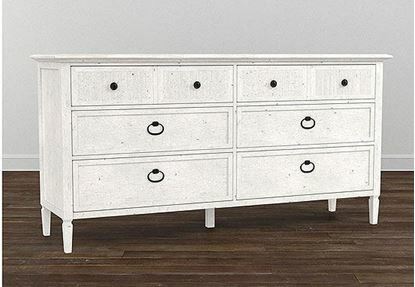 Drawer fronts are adorned with custom oval ring pulls in an oil-rubbed bronze finish. 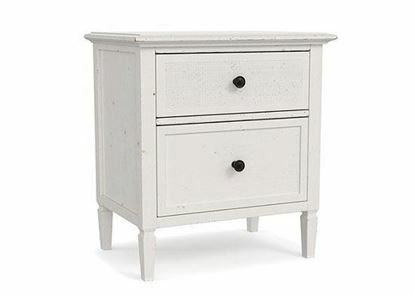 Case pieces feature soft self-closing drawer guides.